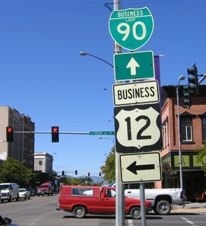 Today that is westbound Business 12 / Business I-90, and the two routes separate there. Historically, northbound US 93 was ahead, and southbound was to the left on Higgins, so US 12 came west to that point and ended there. 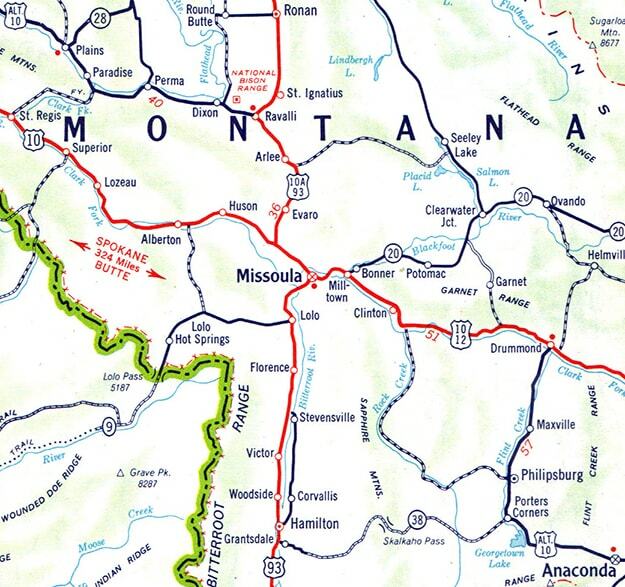 Then, in 1963, US 12 was extended west again: this time over Lolo Pass into Idaho, roughly along Lewis and Clark's historic trail, to Lewiston. Where it ended, US 410 began. But that situation lasted only four years: US 410 was decommissioned in 1967, and the US 12 designation was extended west for the last time: to Aberdeen, mostly along 410's former route, except for the segment between Naches and Elma WA. last updated July 2, 2016.